The high school recently completed a five-year renovation project, which included retrofitting classrooms with Hitachi’s CP-TW3005 interactive projectors. Joseph Kuzo, Director of Technology, has been with the Quakertown Community School District (QCSD) for eighteen years. As Director of Technology, Kuzo and his team oversee the entire technology department including classroom infrastructure, data systems, student information and planning, and budgeting for the district’s technology refresh cycle. Up until the 2018 school year, each school in the district was individually responsible for classroom AV equipment, but now that responsibility lies with Kuzo and his team and so they began standardizing all classrooms with Hitachi’s CP-TW3005interactive projectors. QCSD serves over 5,400 students across eight different facilities: one high school, one middle school, one building dedicated to sixth grade called the “6th Grade Center,” and five elementary schools. The high school recently completed a five-year renovation project, which included retrofitting classrooms with Hitachi’s CP-TW3005 interactive projectors. 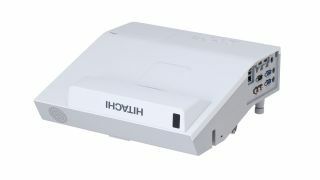 Kuzo and his team will continue to upgrade next school year to ensure that every building in the district is integrated with the Hitachi interactive projectors. QCSD recently became members of Hitachi’s new OneVision Kids Program that offers K-12 school districts specialized Hitachi promotions and pricing, direct access to Hitachi sales and service specialists, an extended lamp warranty and an extended 5-year projector warranty. While the projectors used in the upgrade aren’t part of OneVision Kids, Kuzo looks to the program as a way to help budget and plan for the future.